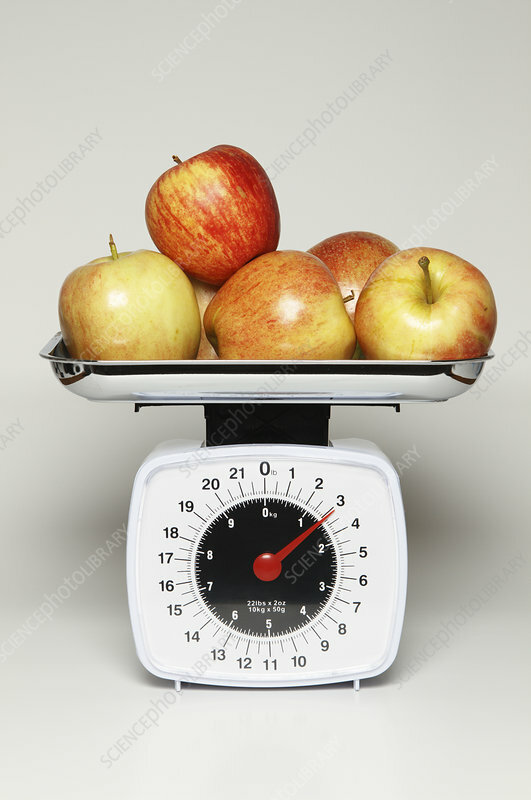 Kitchen scale is used to measure the mass of several apples. Note the dual scale with metric and imperial units. The reading is 1.4 kg or 3 lb 2 oz.